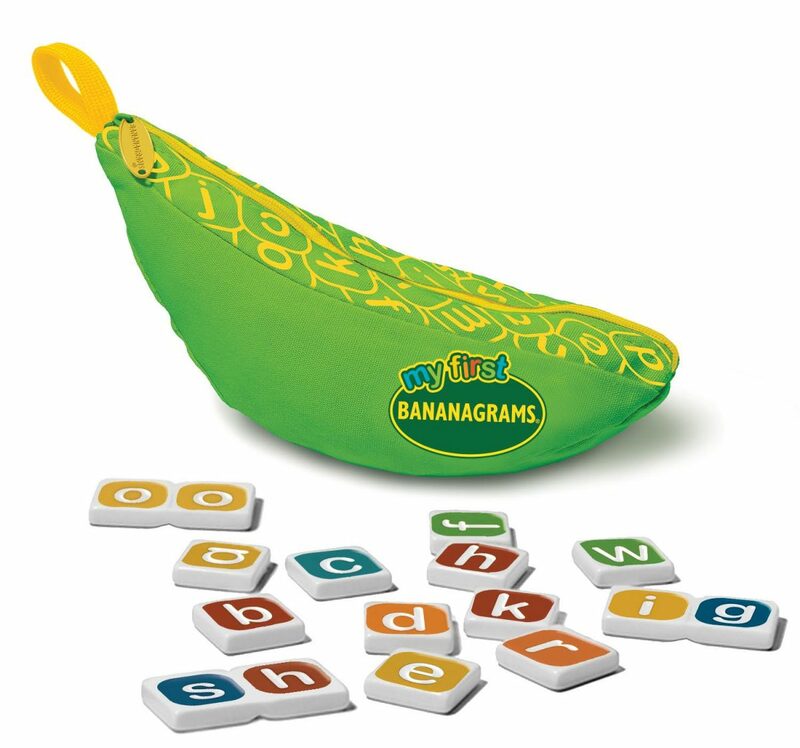 We’ve been having fun with the new Party version of Bananagrams on Instagram this week – and now the boys can join in too! My First Bananagrams is their new “grown up” game and is starting to feel somewhat like the beginning of a boys only shady poker club in our very own back garden. 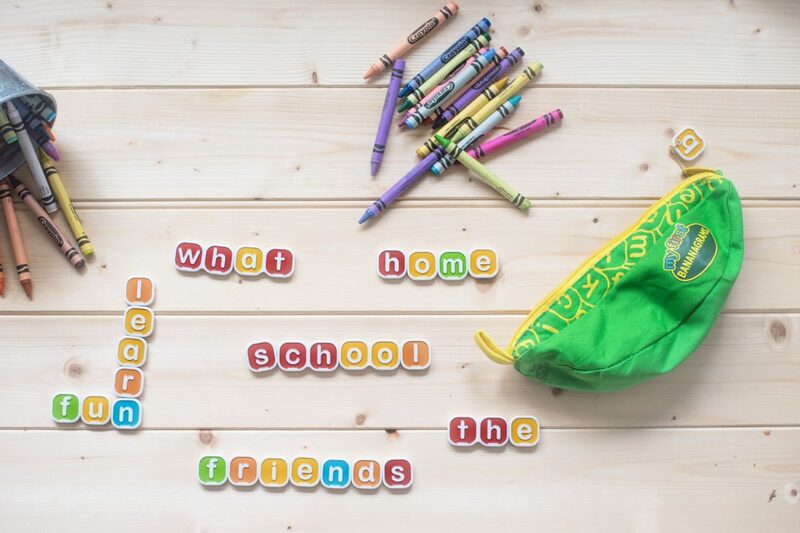 Jensen loves spelling – I can’t remember a time now when he wasn’t writing me notes, creating signs for make believe places around the garden and making my heart burst with his phonetic attempts at big words. Lyoto is more of a numbers boy, but he’s very interested to find out how it all works now that he’s about to start Reception [holding back tears here for Monday]. 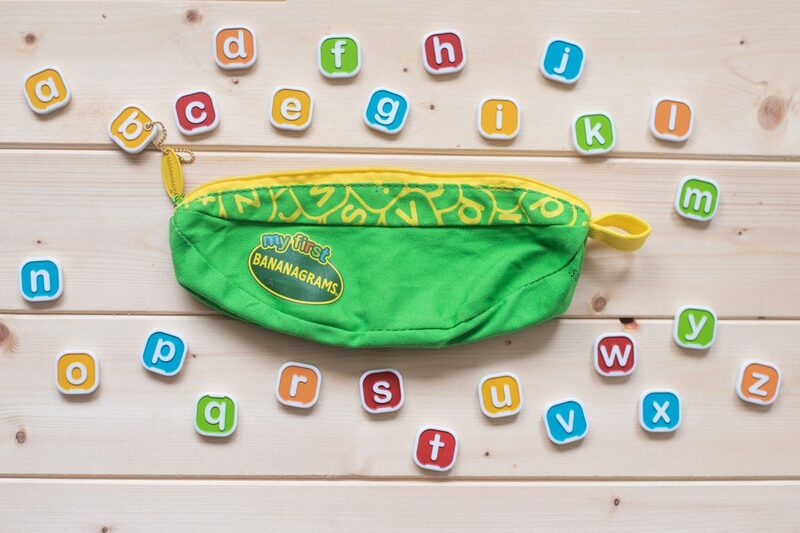 The My First Bananagrams zippable pouch includes lower case tiles with phonemes to build words with – including digraphs for easier, faster word creation. There are 10 game suggestions included that will support the early years curriculum in schools also. Vowel digraph challenges – finding words that sound the same, but are spelled with a different vowel digraph – ee and ea for example. Our most favourite way though, has been what we call the Roald Dahl game. We make up as many words as we can and their meanings. That’s the most fun – and most beneficial for them in my eyes. The green pouch. It’s a little thing but it’s genius and made me smile. A young, green banana! That the tiles include digraphs. That we can take it wherever we like, and we don’t need a board. The tiles are well made, and brilliant quality. That the grown up version was as pretty! Ha ha! That the tiles were double sided so that we had more choices.